Who else is LOVING a statement hair clip right now? I am!! I was in search for a cute, colourful clip for my hair, and just could NOT find any that I liked. And so in the end, late one Tuesday night I found the clips bases I had used for making my bridesmaid hair flowers (you can spy them here if you like). I measured them up, sketched a few designs, and experimented. And these are the results! I had such enthusiastic feedback when I shared them on Instagram and Facebook that I designed more and have added them to the shop. The clips come in sets of two and are available exclusively at Shhbysadie.com. So for fun, colourful statement hair clips - take a look at these hand beaded beauties. Which is your fave? 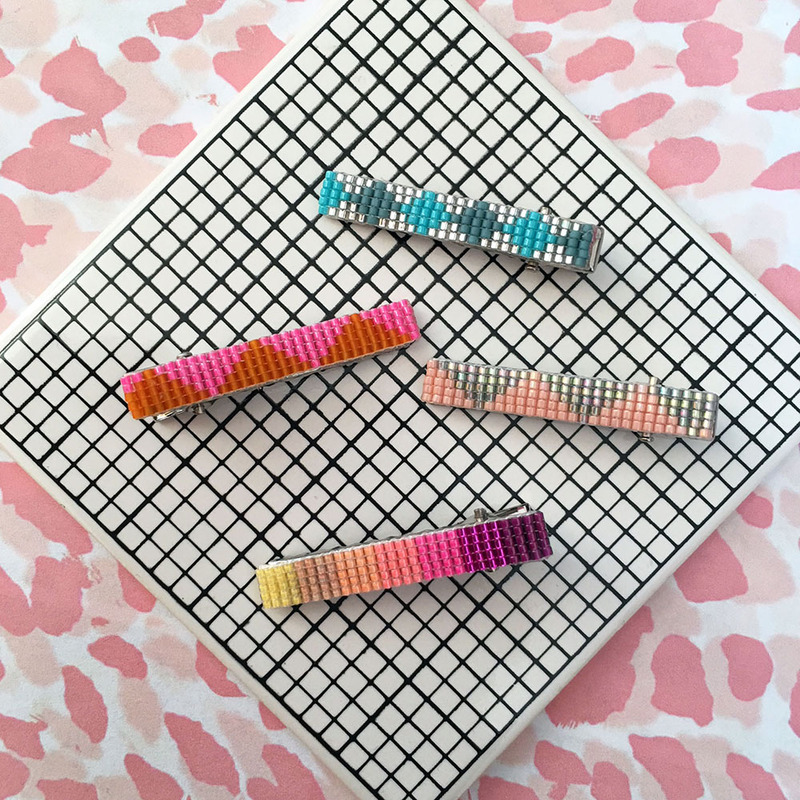 The ombre rainbow hair clip, pastel hair clip or the bright orange and pink zig zag?